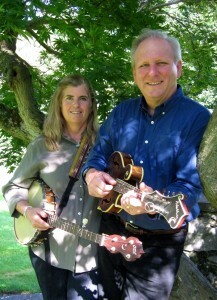 John Kirk & Trish Miller present fiery fiddle tunes, folksongs and fancy footwork to audiences of all ages. 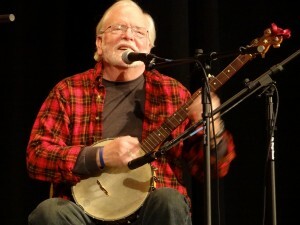 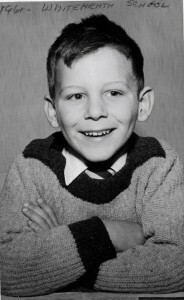 John’s lyric voice, good sense of humor, and versatile instrumental skills have earned him widespread recognition in folk and traditional music circles. On fiddle, mandolin, and several other instruments, he has performed on stages from Carnegie Hall to mountain campfire gatherings. 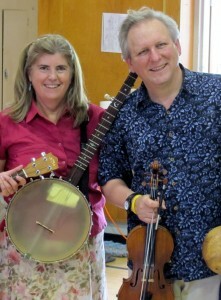 Trish Miller is known for her clogging, guitar & banjo. 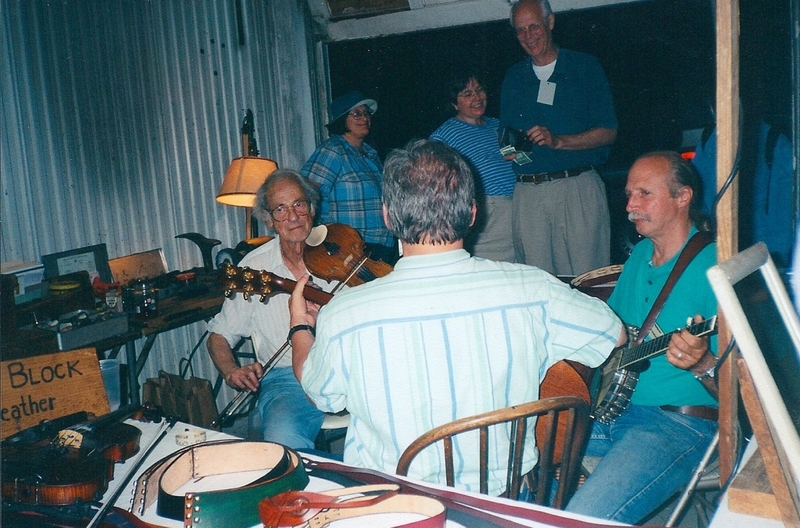 Both of them call square dances and have taught folk music & dance programs of over two decades together. 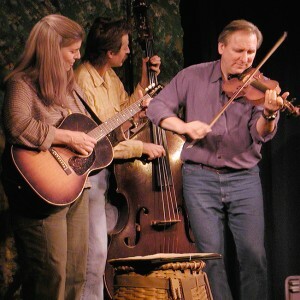 They are often joined by yodelin’ Ed Lowman on bass, fiddle & vocals and occasionally by several other band mates when a big ensemble suits the occasion. 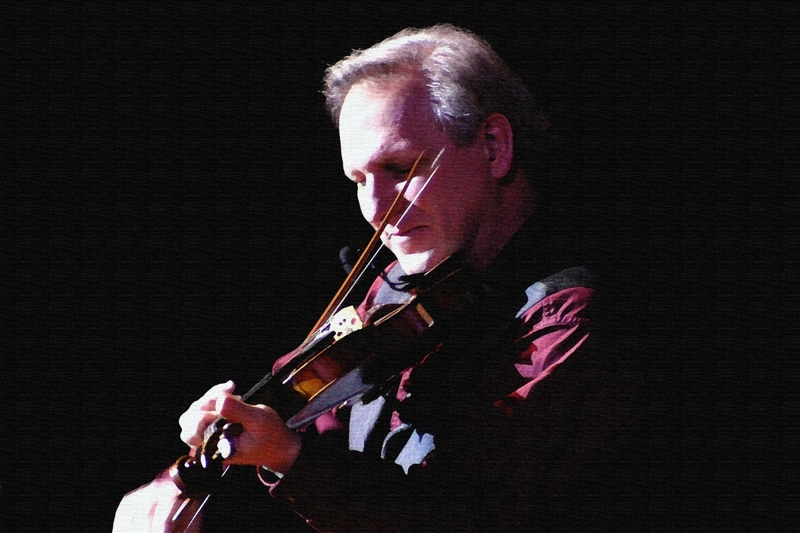 In 2011, the U.S. State Department selected John & Trish with Sara Milonovich & Greg Anderson as Mountain Quickstep, to be touring music ambassadors in Eastern Europe and Turkey. 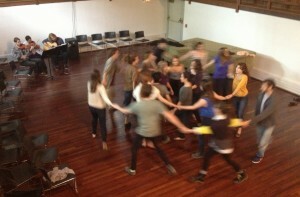 John & Trish teach at Skidmore College in Saratoga Springs, NY, and John has been on the music faculty at Bennington College in Vermont. since 1998. 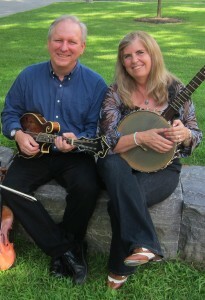 Some places where this duo has consistently presented include the Adirondack Great Camp Sagamore, The Grey Fox Bluegrass Festival, WUMB’s Summer Acoustic Music Week, The Flurry Festival, the 1890 Fredonia Opera House, and numerous schools, weddings, parties and coffeehouses.